Dr. Gross completed his undergraduate training at the University of Alabama at Birmingham and went on to finish his residency in emergency medicine at the George Washington University. He also received a Masters in Medical Management from Carnegie Mellon University in 2013. Dr. 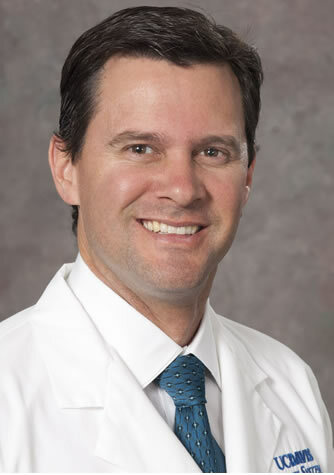 Gross has been in academic clinical practice since 2001, holding the position of Associate Residency Director at both Maricopa Medical Center and Hennepin County Medical Center. Currently Dr. Gross is the Quality Director for the Department of Emergency Medicine at the University of California, Davis. In addition to his leadership role at Davis, Dr. Gross has been active in emergency medicine on a national level for many years. For the American Board of Emergency Medicine, he serves as an item writer and oral board examiner. For the American College of Emergency Physicians, he serves on the Education Committee. He is also longstanding faculty for the Heroic and Life Saving Procedural Labs taught annually at the ACEP Scientific Assembly.